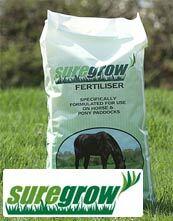 Fertiliser is used to feed the ground and promote plant growth. The level and type of fertiliser is dependent on what the grassland is used for and the amount of livestock it needs to support. Horses require good quality grass. It must be nutritionally well balanced and not overly rich in nitrogen. The majority of our work is for equestrian clients but we also provide this service for large gardens and small farms. 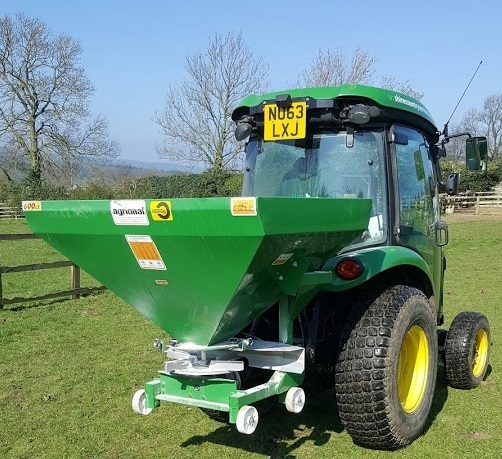 As stockists and suppliers of Suregrow fertiliser we are able to offer bulk prices and an efficient and effective spreading service. 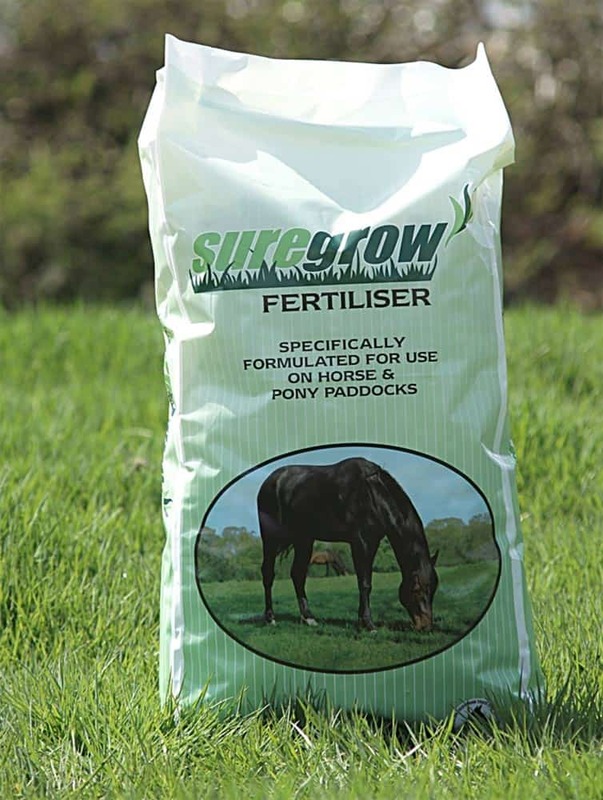 Suregrow has a number of key benefits over other fertilisers available, namely the ability to graze immediately after application (see their website for details) and that it is slow release, hence no flush of growth and risk of laminitis or colic. For spring and summer growth an application of 80 – 100kg per acre is recommended. If you are planning to graze over the winter, a smaller late autumn application of 60kg per acre will keep poaching to a minimum through helping to maintain a dense sward and make the most of early spring growth. Other fertilisers available for equestrian purposes include traditional grassland compounds such as 20-10-10 and 16-16-16 as well as Muriate of Potash (MOP) 0-0-60. Your requirements will depend on soil analysis results and intended stocking densities. Contact us to discuss or if you have a local agronomist we are happy to supply and spread or simply spread only using your product. 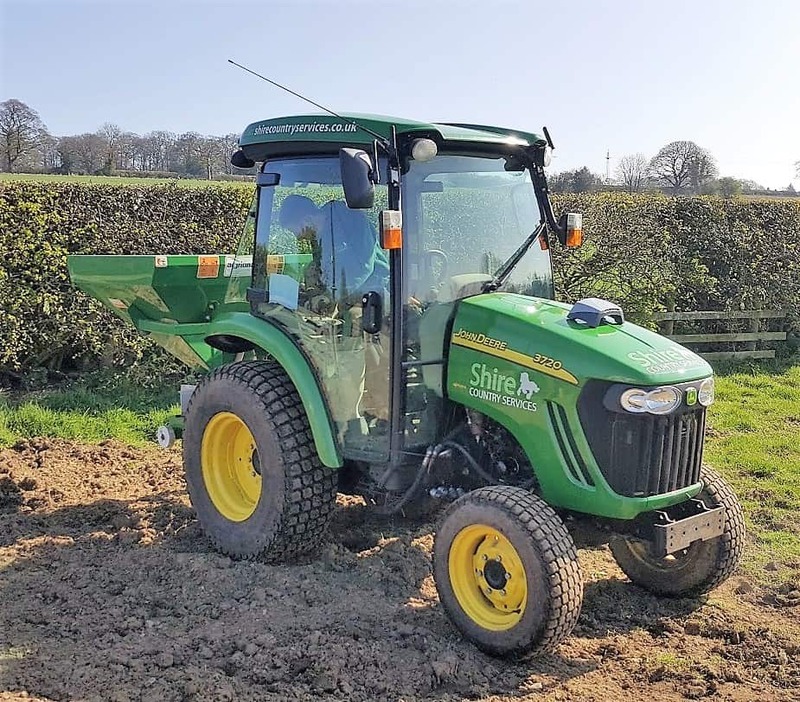 We use compact tractors with mounted spreaders which are ideally suited to paddocks where access can be tight. Our highly manoeuvrable tractors are shod on turf tyres helping to keep compaction and tyre marks to an absolute minimum. 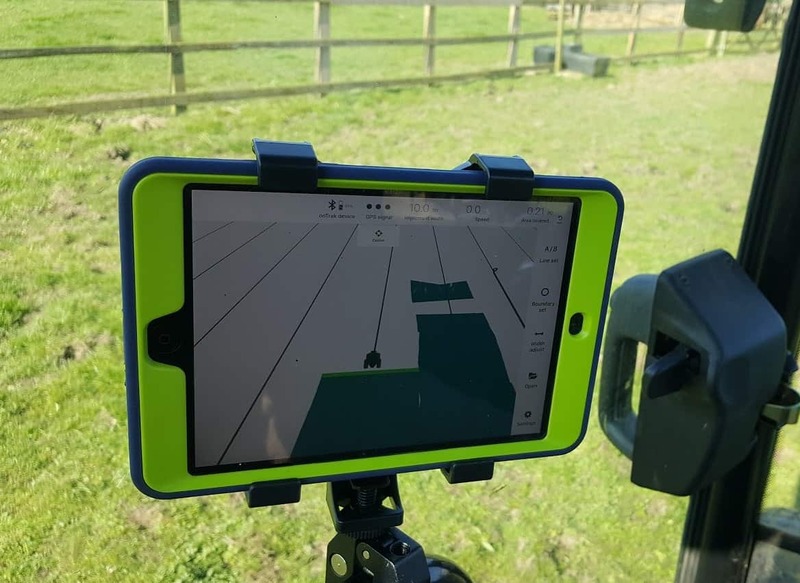 With a 12m spreading width, hydraulic controls and GPS mapping and guidance technology we are capable of spreading in a wide variety of field sizes from 0.25 of an acre to 30 acres. Please call or email and we can discuss soil sampling or arrange a fertiliser solution to meet your requirements.